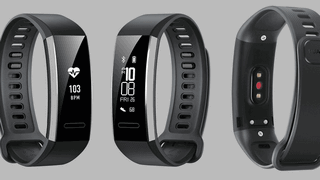 Huawei Band 2 Pro it’s one of the best fitness bracelets for it’s price/quality ratio. The difference between the pro and the normal one is that the pro bracelet has GPS, TrueSleep, VO2MAX and Sport Coach. The bracelet looks nice and stays closed well (has two clips). 3.5 hours in GPS mode), 5 ATM water-resistant, TruSleep and VO2 max measure. - You can reject the call directly from the bracelet (keep pressing the button from the bracelet for a few seconds). - The count of footsteps is very precise. - TrueSleep shows very detailed informations about sleep. - Has GPS. But using it will drain the battery much faster. - If you have already have opened WhatsApp or similar apps the bracelet will not show the notifications anymore. - The same icon is used for all notifications. - When you read a notification showed by the watch it will not disappear from the phoneor vice versa. - The informations from the screen are hard to read in the sunlight. - Health only saves data locally, not to a personal account. So, if restart the phone the data will be deleted. - The watch strap is hard to switch and I’m not sure if you can buy one separately. - It can’t be integrated with Strava, only with Google Fit. To benefit from the all bracelet qualities, it must be connected to the phone by Bluetooth. - The bracelet warns you immediately when you re away from the phone. So it warns you immediately when you forget the phone smowhere. - The precision is much better when it count your footsteps(because it uses the GPS). - The phone can be unlocked without fingerprint or pin, if the bracelet is added to trusted devices. - You can see who is calling or who is sending you a message without pulling the phone out of pocket. Altrough it’s recommended it’s not needed to intstall the Huawei Wear app. It’s enough only the Huawei Health app.